It isn't the first time that I have patroned Thai Express and the menu has been updated. It is delightful to find out that this is also vegetarian friendly. Since I have tried their Olive Fried Rice (it tastes great), I decided to try Pan Fried Hor Fun. When it arrived, the hor fun was fried although not what I had imagined. However, dipping it into the sauce was good. The portion was a little too much for me, so I would say it was value for money. It's a good place to have a meal as the staff were attentive; refilling the ice water and clearing the plates timely. Was really looking for some chinese food in Paragon, but due to the extremely long queue, i decided to try out some thai food instead. Although the queue wasnt that long, but still i have to wait for at least 20 mins before i get my table. I believe their menu has since changed the last time i patronize them. More varieties of food were in their menu this time. I believe most of the foods sold were cater mainly to the 'singaporean taste'. But fear not if you are looking for some 'thai taste', cause they have one section of bangkok street favorites in their menu. Reading the menu was pretty simple, although most of the food were being represented in thai, they were accompanied by the english description. The beautiful pictures indeed gave me a much better idea on the food. Due to the lots more varieties, i look more than 15 mins before i can finally decide what to order. 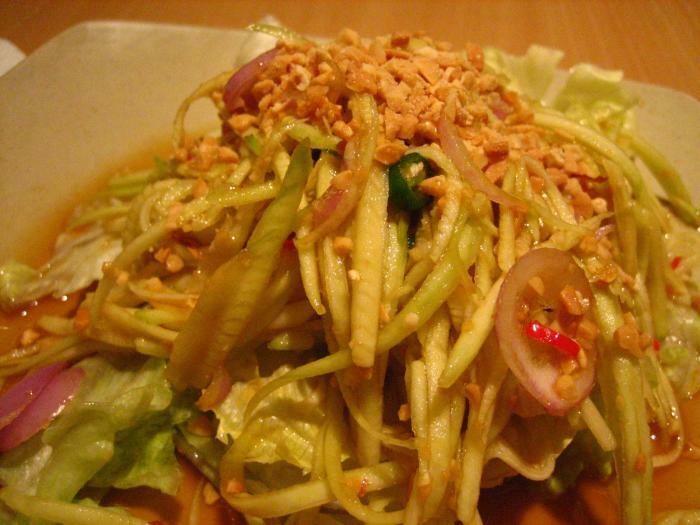 Foods that i have tried include the honey chix rice, phai thai in seafood version, mango salad and tang hoon ball soup. For desert wise, it includes the sweet steam topiaca and the red bean dessert. They also have laksa, curries and wraps which i did not try them this time round. I pretty like the honey chix rice. Although the portion is not as big as i have expected, the chicken taste pretty decent and juicy. One will be able to taste the fragrant honey taste in each chicken slices. 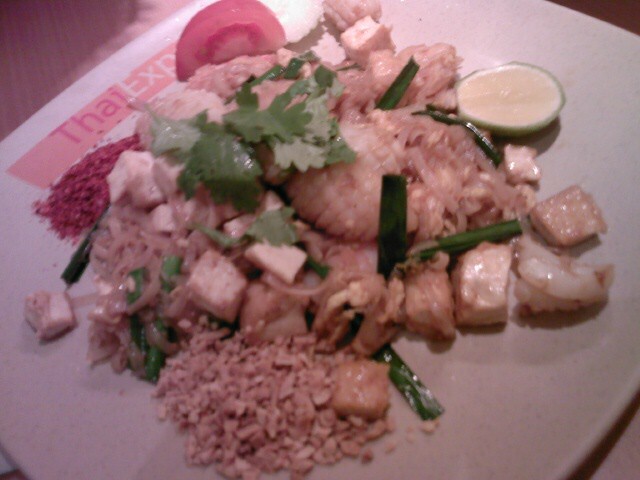 As for the phad thai, it comes in three version, the seafood, the beef and the chicken (i think). I choose the seafood one, thinking the orignal phad thai comes with seafood. To my dismay, the seafood tasted pretty 'hard'. Especially the cuttlefish, which i use pretty much effort to chomp them down. If one is not very concern about its seafood 'hardness', you can still try this dish out as its glass noodles tasted reasonably ok.
One of the most interesting dish will definitely have to be the tang hoon ball soup, as each of its ball are the size of a smaller version of the tennis ball. Of course, given the size, one cannot expect to have many of them in this dish. The texture of these meat balls was just right, making it not too hard nor soft. 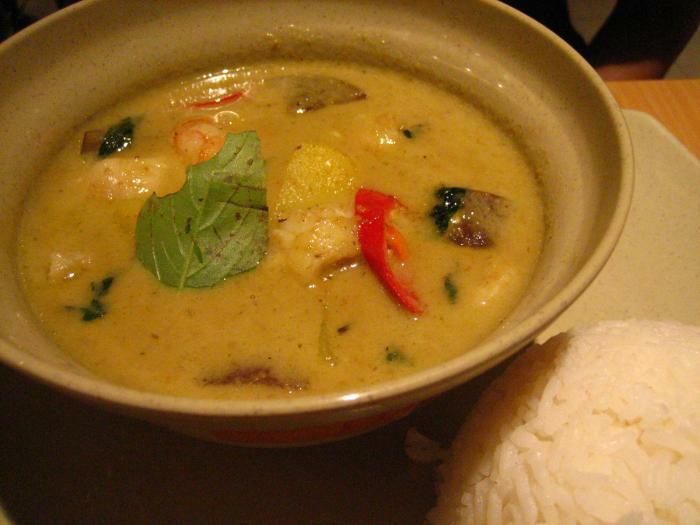 Together with the super sweet soup, it managed to enhance the entire dish, bringing it to a higher level. Choose some of their specialty desserts, which includes the red bean and the tapioca. The steamed tapioca was pretty firm and hard, giving one a chewy chewy kind of feeling with every mouthful. 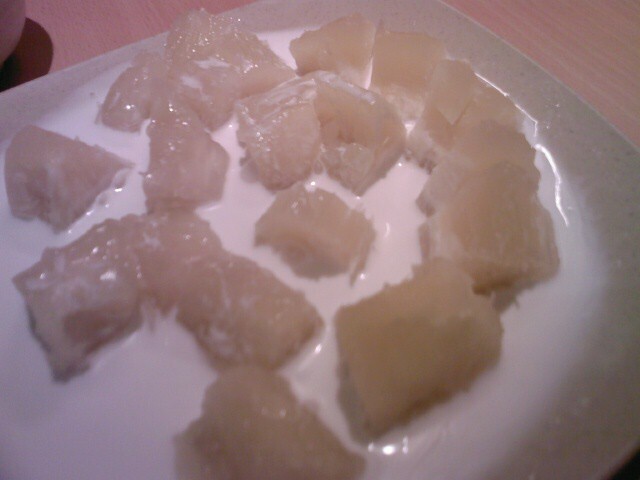 Personally, i would pretty a less diluted coconut milk over the cube size tapioca. The red bean dessert tasted ok and rather sweet. Intially i expected little red beans, but instead what welcome me was red bean paste. This paste proved to sweet for my liking. Together with the coconut ice cream, the red bean taste is abit too enpowering. Overall, the dining experience was pretty ok. But being seated in a far corner, it proves to be harder to alert some of the staffs. Queue management wise was not a too-good experience, at one time they simply gave seats to the group at the back of the queue without informing the front people of their decision. I believe their service has roome for improvement. 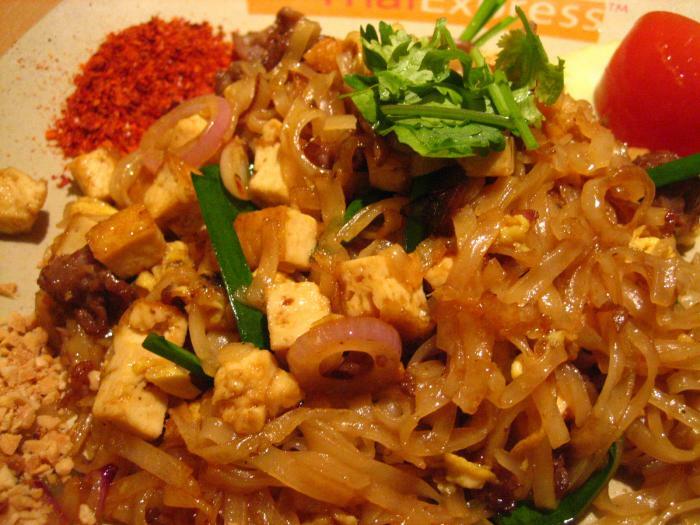 Whenever I'm craving for Thai food, I would go to any Thai express to get my fix mainly because it is affordable. This time round, I had stir fried glass noodles with beef instead of my usual seafood one. It had lots of flavour. Not too oily as well. I love their mango salad too but the vegetables weren't very fresh on that day. So I was quite disappointed. Overall service was good. Our cups are always filled once it reaches the halfway mark. Somehow, I prefer the branch at City link even though the layout is abit squeezy.